Here comes the Starss Icon Pod with 2ml e-juice capacity and 2.0ohm coil head. Just get the Starss Icon Pod for your Starss Icon Pod Kit. The Starss Icon Pod is designed for the Starss Icon Pod Kit with 2ml e-juice capacity. Featuring the easy bottom refill and 2.0 ohm coil head, the Starss Icon Pod will bring the best flavor to vapers. Plus the high quality PCTG material, it is good and safe for the environment. 4pcs each pack. 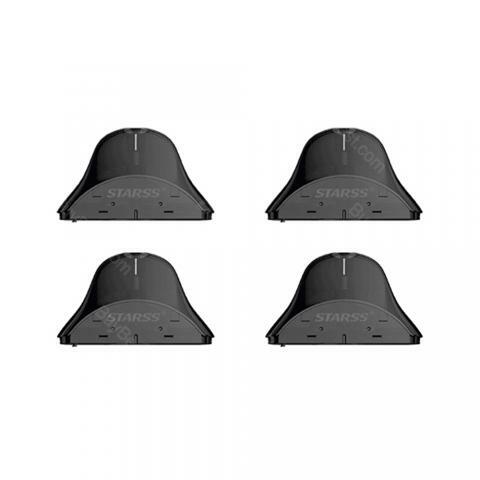 Starss Icon Pod 2ml 4pcs/pack 100% authentic starss icon pod 2ml 4pcs/pack for starss icon pod kit e cig spare parts electronic cigarette from Chinese e-cigarette pod supplier.